Personal injury is a very broad legal topic. Personal injury lawsuits can range from slip and fall claims against a restaurant to huge multi-plaintiff suits against a corporation for a faulty product. Whatever the situation, most cases will follow the same basic pattern. If you are unsure if you have a valid claim for compensation, contact our law firm. In order for a personal injury claim to be valid a plaintiff must be able to prove that they suffered harm as a result of the carelessness or negligence of another person or entity. We can assist you in determining whether your claim meets this criteria. Obviously, the first thing after being treated for your injuries will be to meet with a personal injury attorney. Be prepared for them to want to hear all the details surrounding the event and see any relevant paperwork, such as a police report. You will most likely be asked to sign a form releasing your medical records to them. Questions will be asked about your own insurance coverage and whether or not any insurance adjusters have already approached you. If an attorney agrees to take on your case, you will generally be asked to sign a retainer contract and instructed to not talk about your case with any 3rd parties. After reviewing all details and investigative work, your attorney will then determine who the at-fault party was in your case. A letter of complaint will be filed with the court outlining the case against the chosen defendant. An important part of that complaint is the demand of judgment, which states what the plaintiff would like from the defendant, such as monetary compensation. The court will then issue a summons, notifying the defendant of the pending claim and giving them a stated amount of time to respond to it. The next part of the process is known as discovery. All relevant facts to the case must be disclosed to both parties prior to the trial. It is during this phase that one side may decide to either withdraw their claim or offer a settlement. Facts unknown prior will be brought to light, in relation to both the defendant and possibly the plaintiff. This is why it is imperative that you are honest with your attorney about all the facts of the claim. Nothing can ruin your chances of winning a lawsuit faster than being caught in a lie. An overwhelming majority of personal injury claims are resolved without ever going to trial. After being presented with the evidence, the opposing counsel will usually go over the amount of damages and try to reach a fair settlement. Your attorney will likely give you an idea of what your case is worth using verdicts and settlements from similar cases as a guideline. It is up to you to decide if what is being offered is a fair amount. If you are unable to reach a compromise with the defendant then the case will move on to trial. Receiving compensation from an injury takes a lot of hard work and patience. Attempting to do so without an experienced personal injury attorney can be very difficult, especially if you are dealing with a large company with deep pockets. If another person has caused you or a family member physical harm, it is highly recommended that you take your claim to an attorney first, before speaking with anyone else. 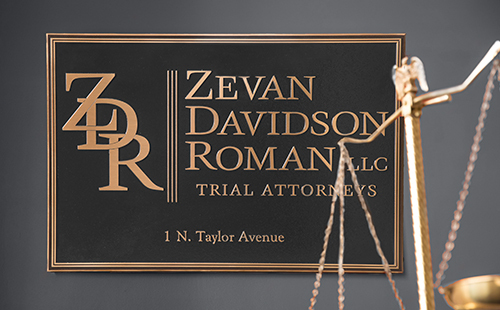 To schedule a free consultation with an experienced St. Louis personal injury lawyer, call the Zevan and Davidson Law Firm at (314) 588-7200 or contact us online.